Russian Orloffs are build big for cooking and do good work as layers, though the biggest attribute they possess is their ability to lay eggs even in cold weather. This makes them very valuable if you live somewhere very cold. 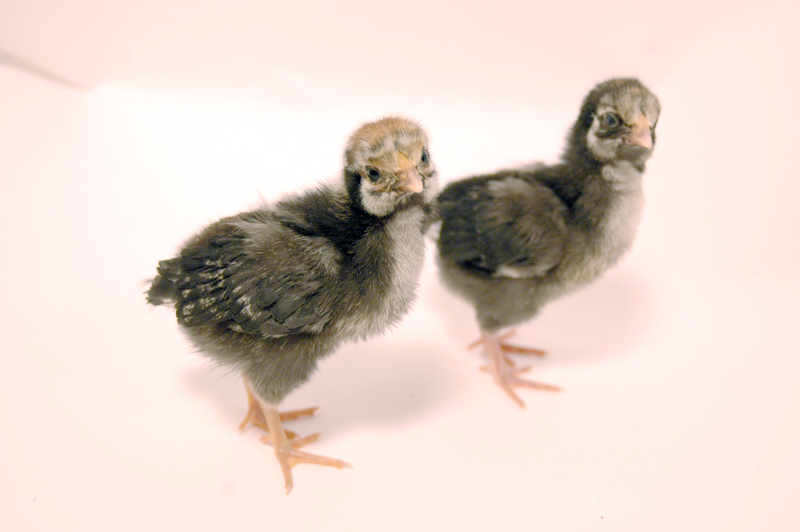 Keep in mind though that the breed is considered endangered, so if you plan on keeping them as dinner birds, make sure you’re breeding them consistently. Russian Orloffs are calm birds who don’t become very broody. 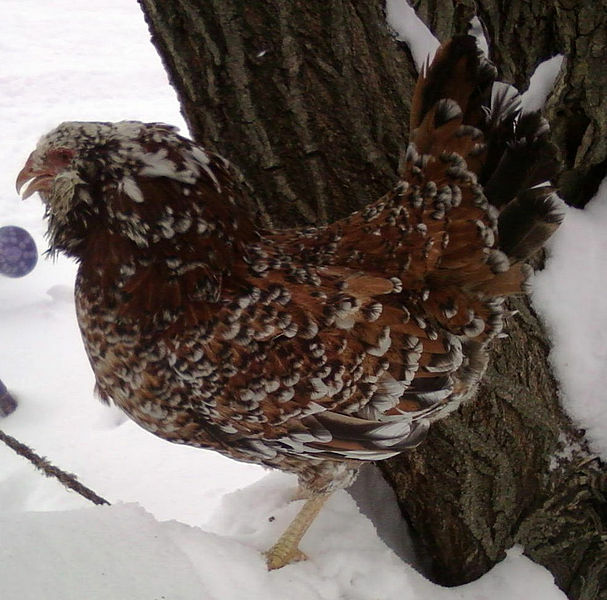 They’re an easy chicken to keep because of these qualities, though why they aren’t more popular is mostly due to their primary usefulness as cold weather layers, a quality a lot of egg farmers don’t generally worry about. 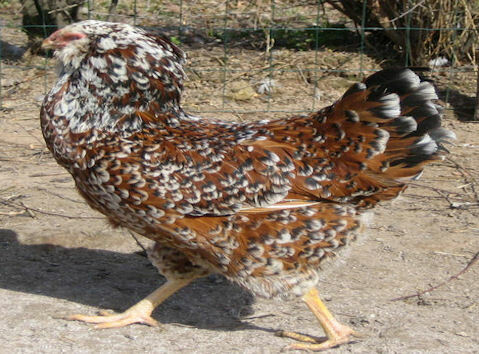 Russian Orloffs look very much like game birds as they are tall and thickly feathered. They have a small walnut comb, small wattles, and small earlobes, but do have a fair amount of feathers around their head and neck. 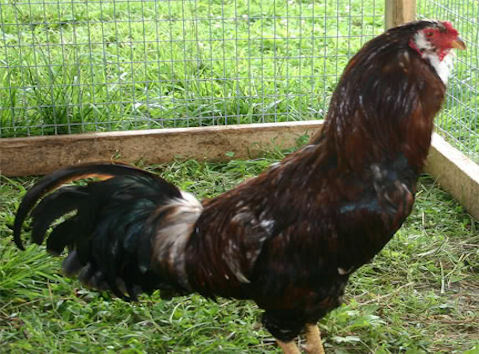 They come in a variety of colors such as black, white, blacked-tailed with red, mahogany, speckled, and cuckoo. Russian Orloffs are easy to keep as they’re calm and can easily withstand cold temperatures. With this ability to ward off cold comes an inability to ward off heat, meaning that on hot days they can typically be found standing in cold water. Make sure to provide them with an adequate means to cool off when the sun gets brutal. While most believe the Russian Orloff originates from Russian, where it was popularized, it actually comes all the way from Persia, getting distributed across Europe and Asia during the 17th century. The breed, named after Alexey Grigoryevich Orlov, a Russian count, was heavily developed in the 19th century to withstand cold climates and by the 1920s it had made its way to Britain. It made its way into the APA during the 21st century but has since been removed due to a lack of interest. As of now, it’s considered critically endangered.